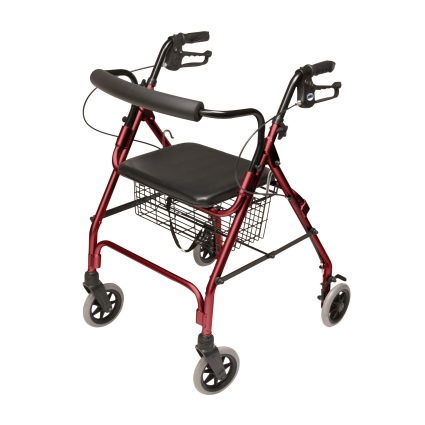 Lumex Walkabout Lite four-wheel rollator features easy to operate locks and "quick stop" loop brakes which allows pull up to stop and push down to lock. Walkabout can be easily and quickly folded into a compact unit for comfortable storage and transport. 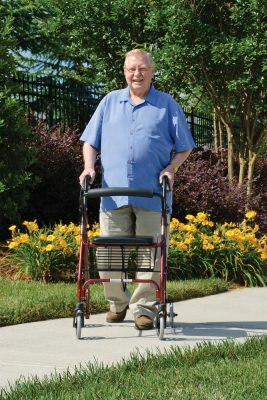 Walkabout Lite rollator is designed with an aluminum frame that provides comfortable, lightweight and affordable solution to mobility. 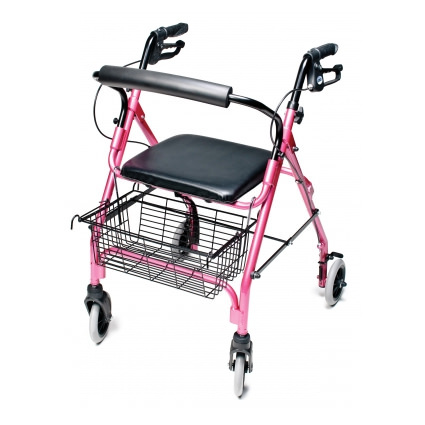 Walkabout lite four-wheel rollator comes with 6" wheel for indoor and outdoor use and basket included that can be placed underneath seat or in front for carrying of personal items. Width inside hand grips 16"